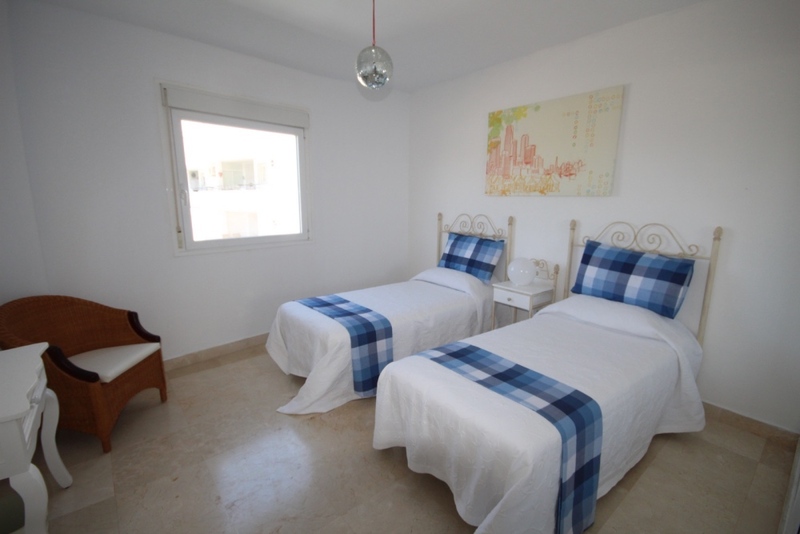 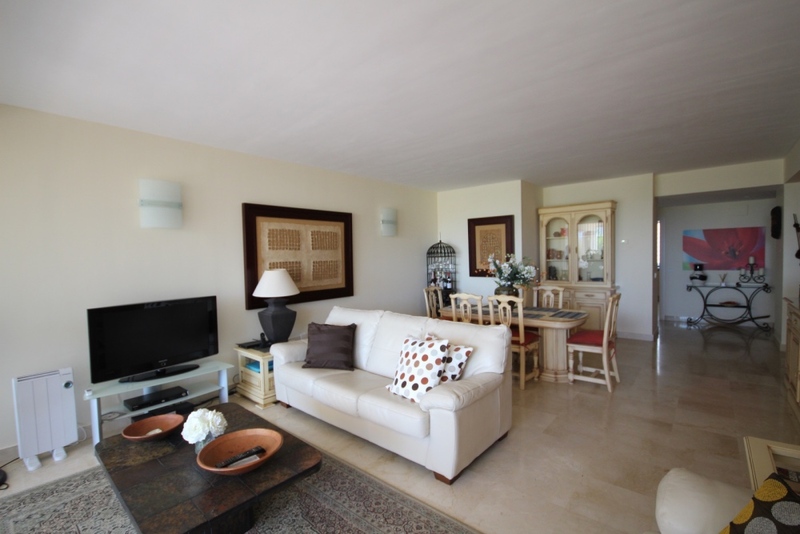 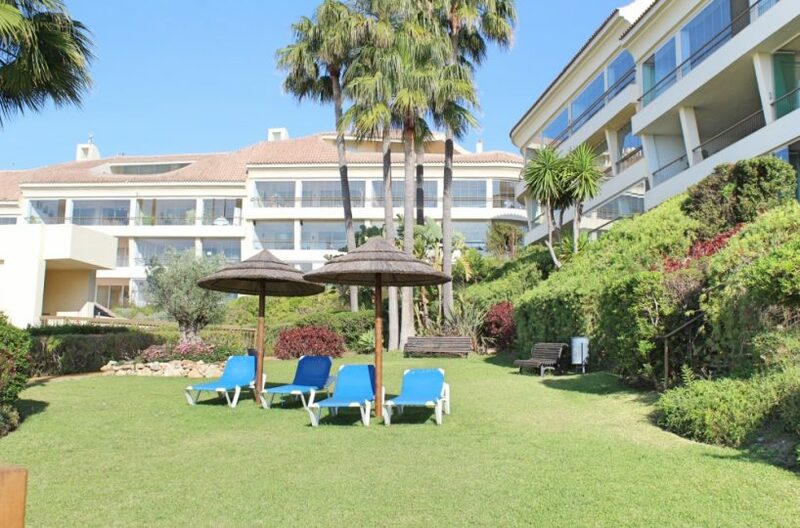 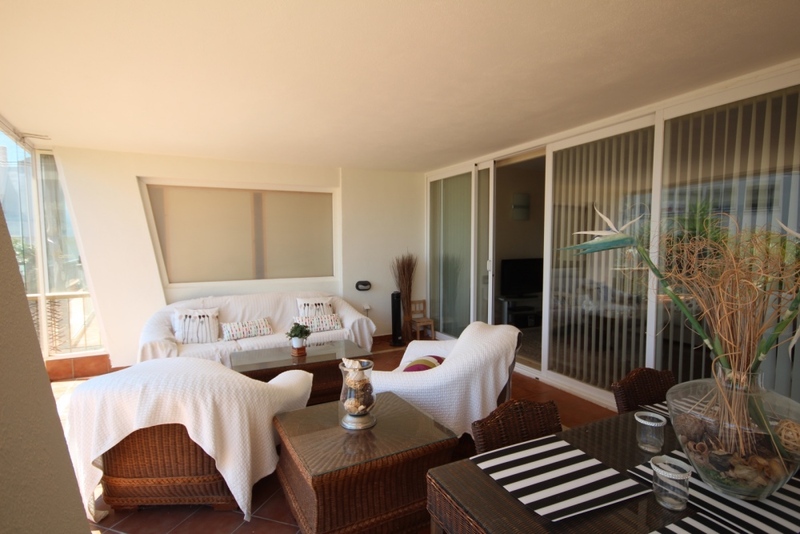 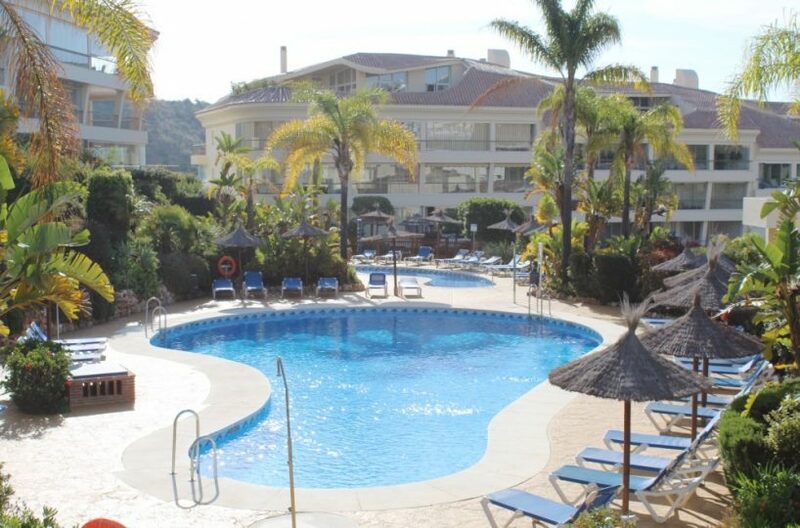 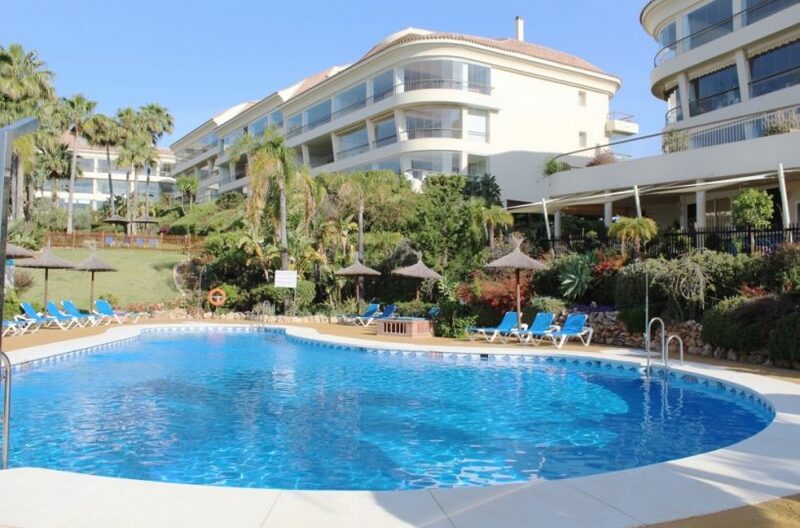 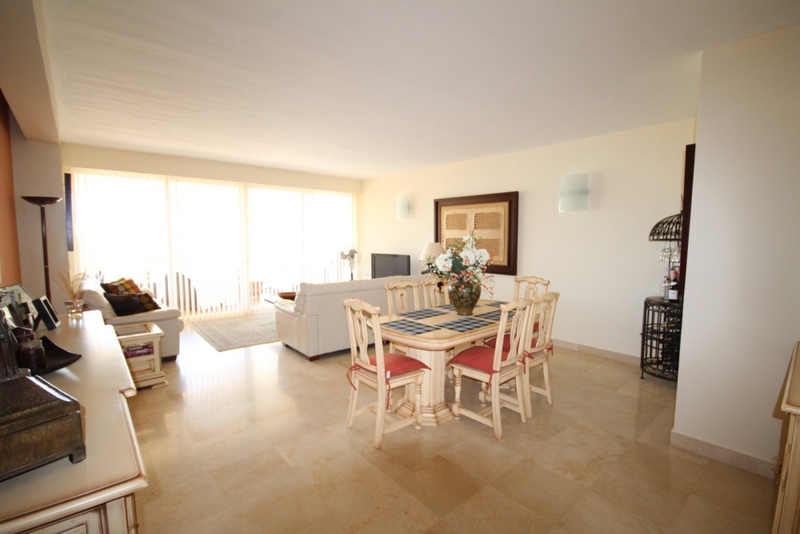 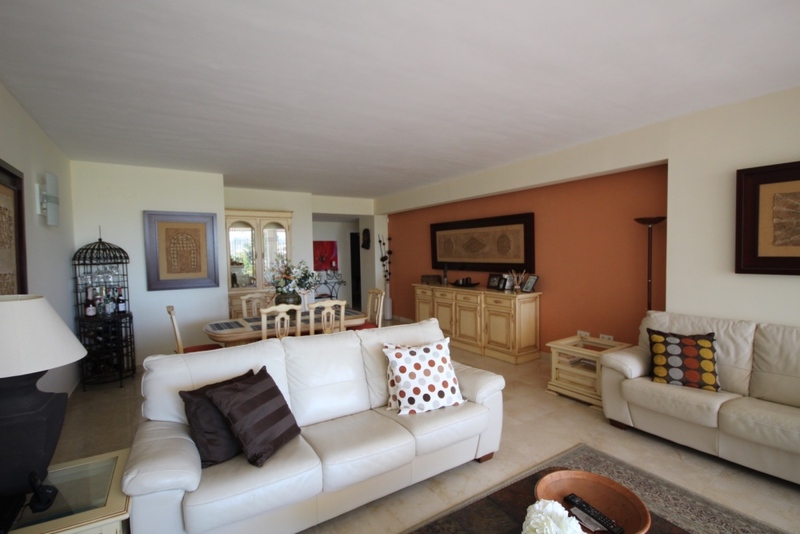 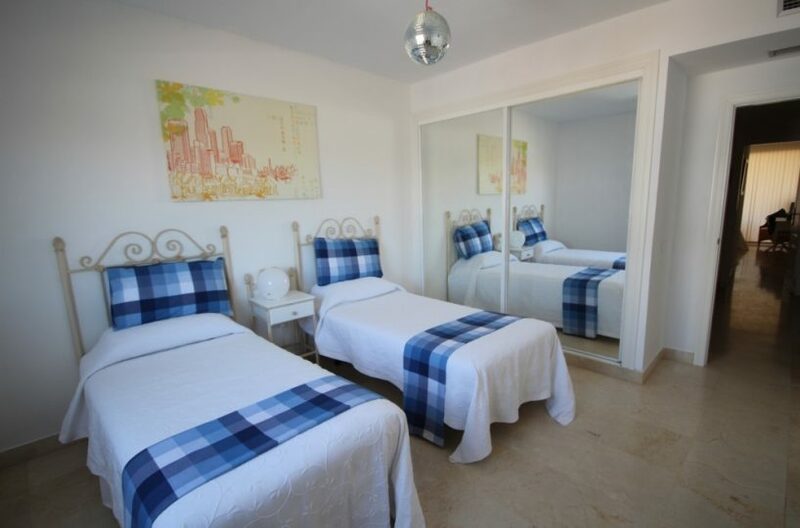 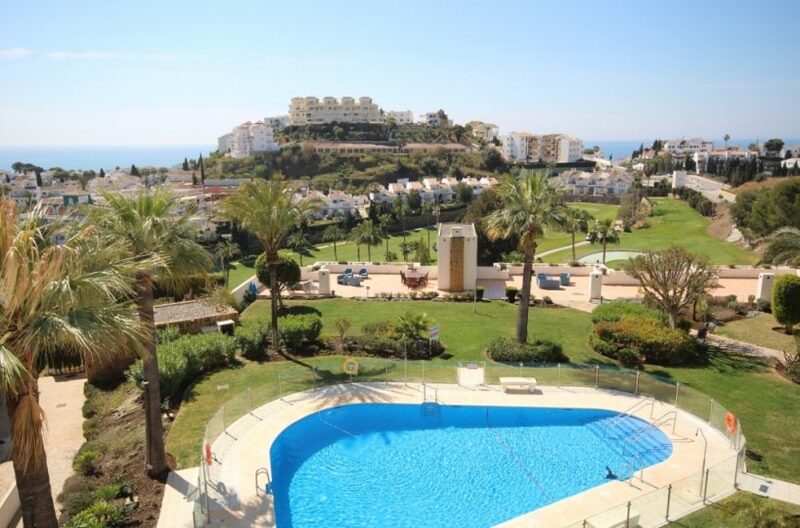 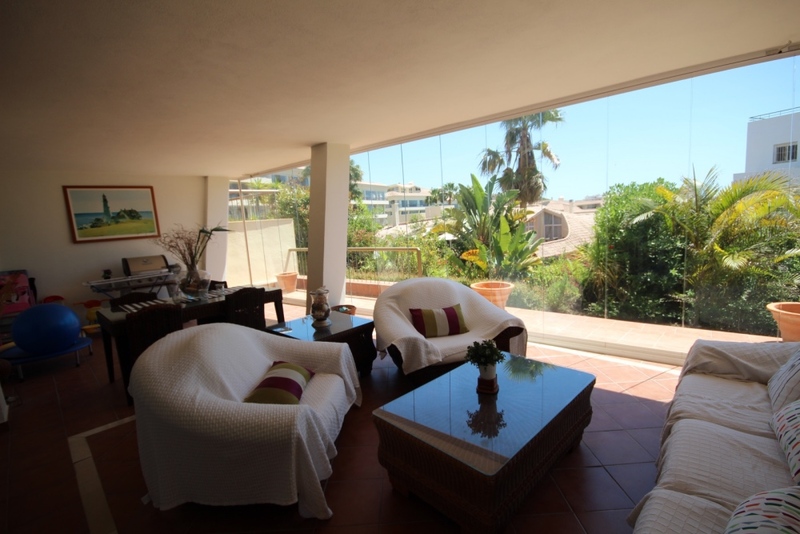 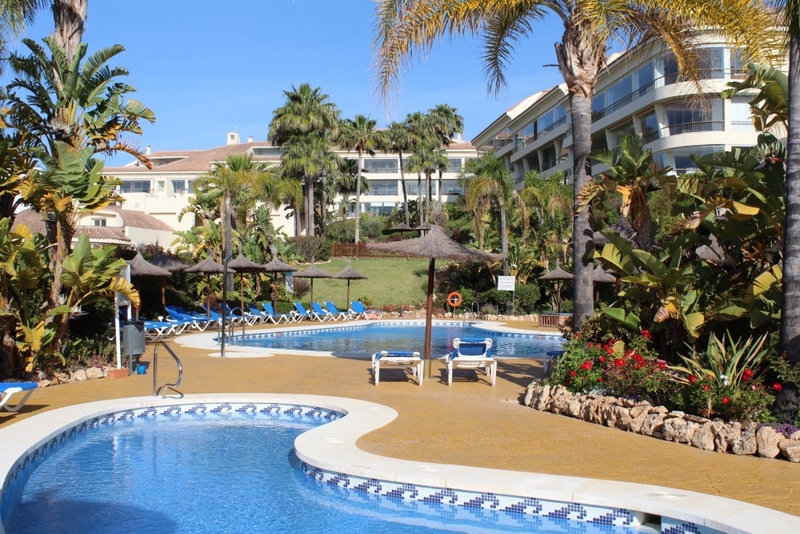 Beautifully presented and unusually large 2 bed, south east facing, ground floor apartment situated in the popular, sought after luxury complex of Las Olas, Riviera del Sol in the Mijas Costa, Just minutes from the prestigious Miraflores Golf Club on the Costa del Sol. 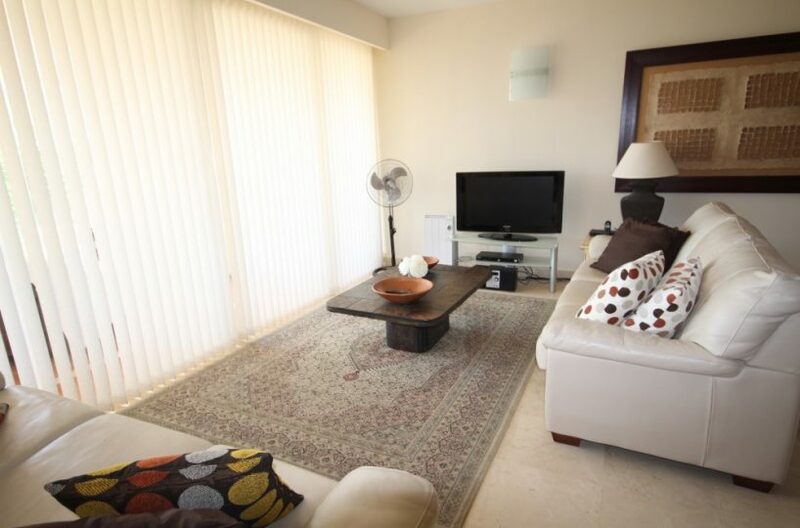 The spacious 42m2 lounge has double glass sliding doors leading on to the huge 42m2 south east facing terrace which boasts glass curtains and views of the community gardens. 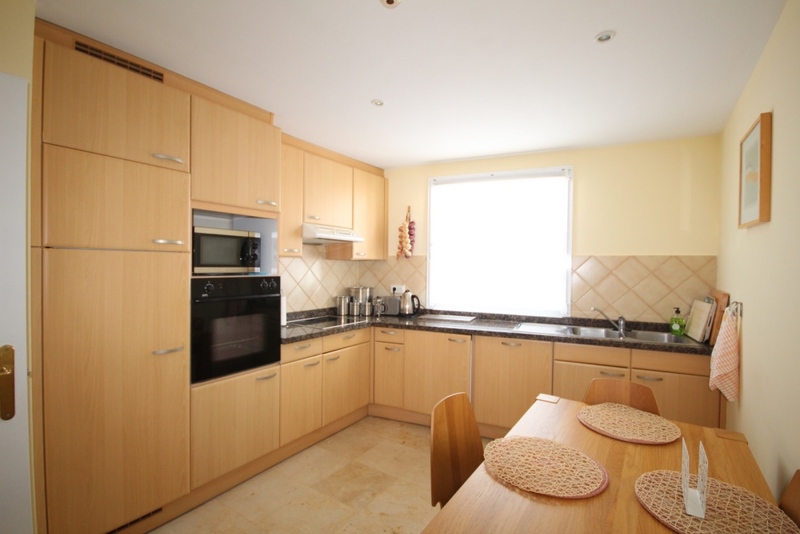 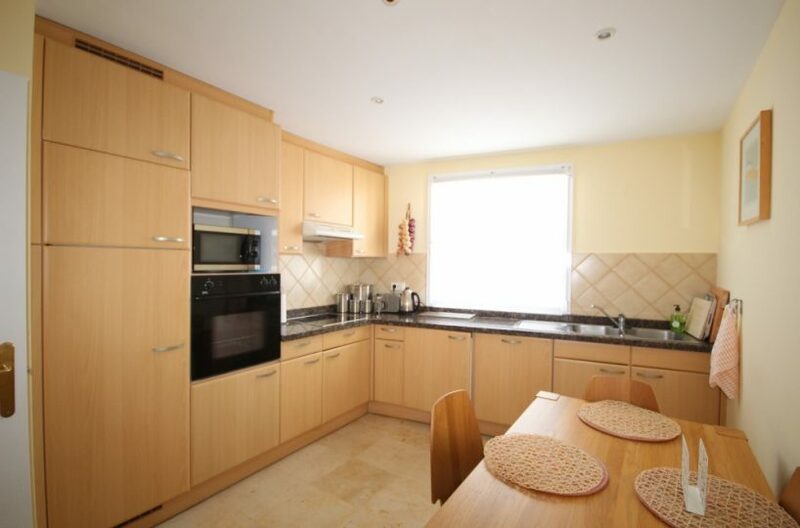 The apartment has a separate kitchen which is fully fitted and spacious having high quality granite worktops fitted and brand name appliances. 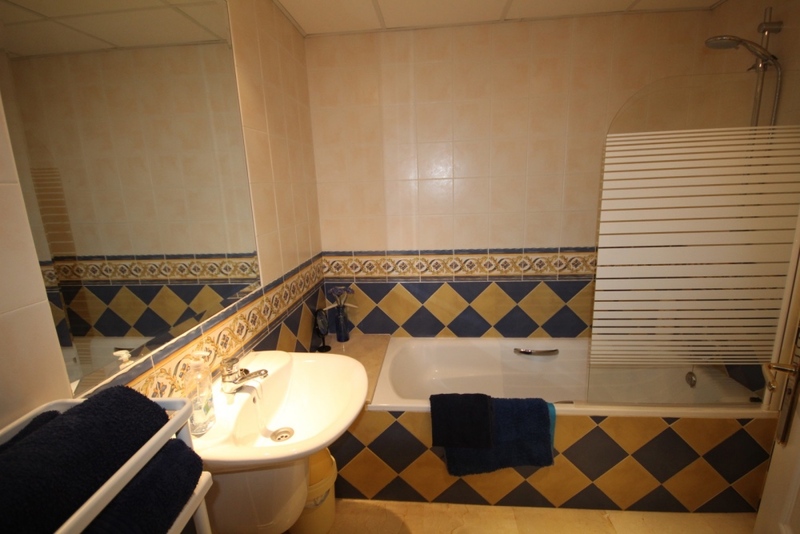 Finished to a very high standard it includes extras like air con, hot and cold, video entry phone, alarm and marble floors throughout. The complex benefits from beautiful, sub-tropical gardens with a poolside snack bar, large pool, paddle court, gym and library. 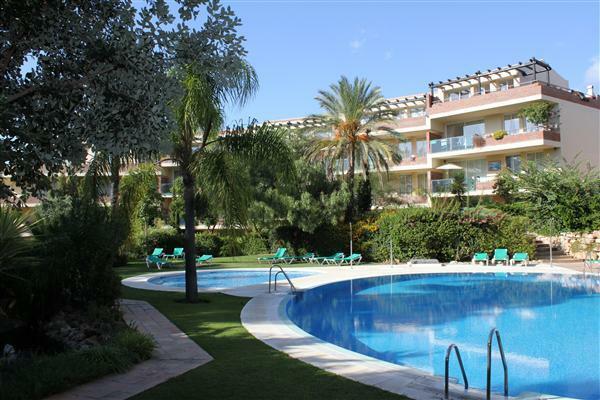 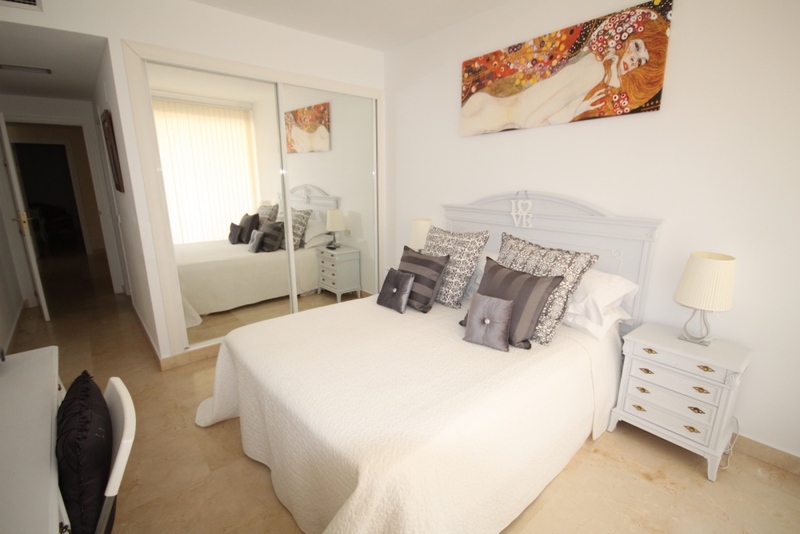 This really is a top quality, luxury complex at a price which is not to be missed. 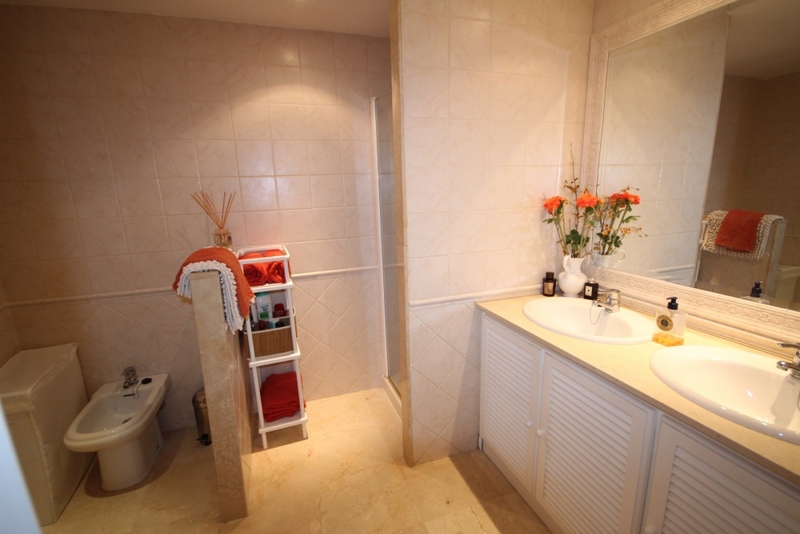 High security complex with storage room and underground parking included.